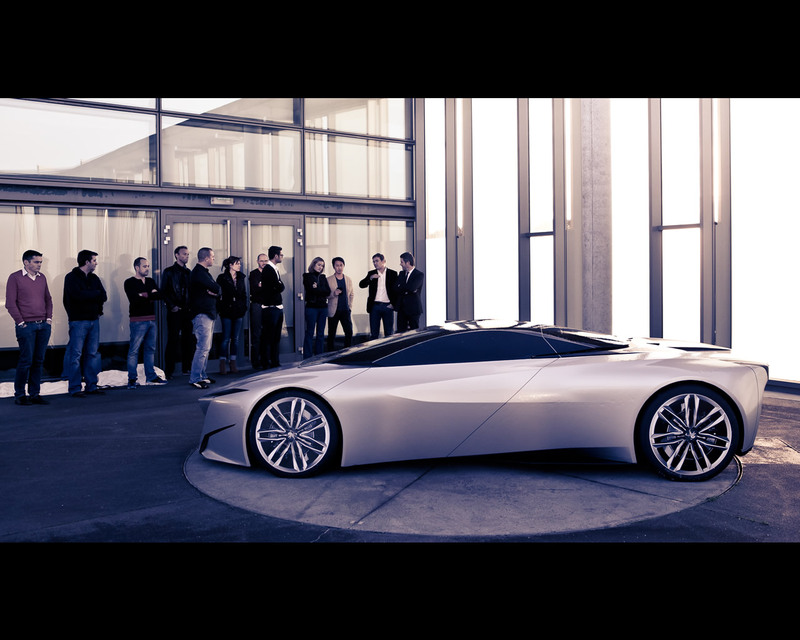 The Peugeot Onyx hybrid supercar concept was unveiled at the Paris Mondial 2012. 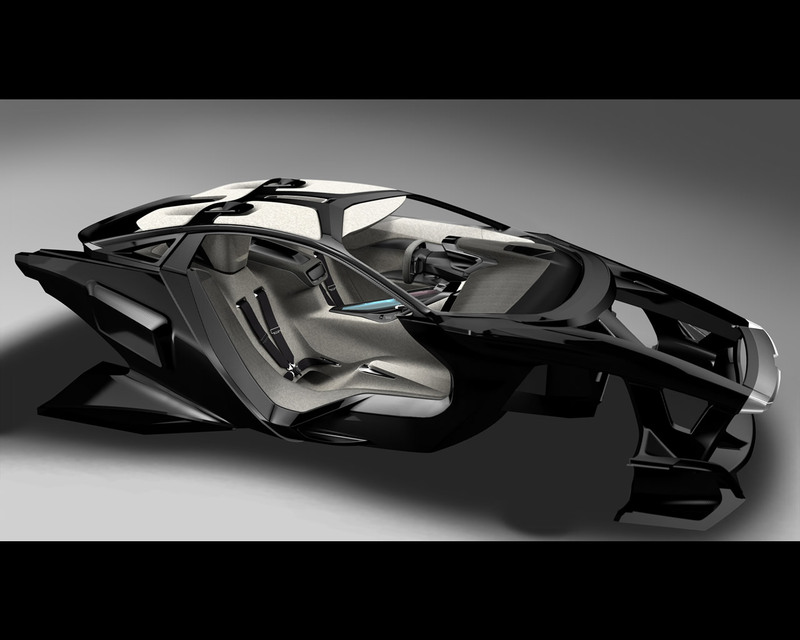 “Onyx has supercar performance, with extremely aerodynamic lines. It has a unique sculpted shape, styled with innovative materials and an innovative architecture.” declares Gilles Vidal, Peugeot Style Director. Quasar, Proxima, Oxia, 907,.. Peugeor supercars have always attracted attention, be it in the eyes of the young or the experienced. 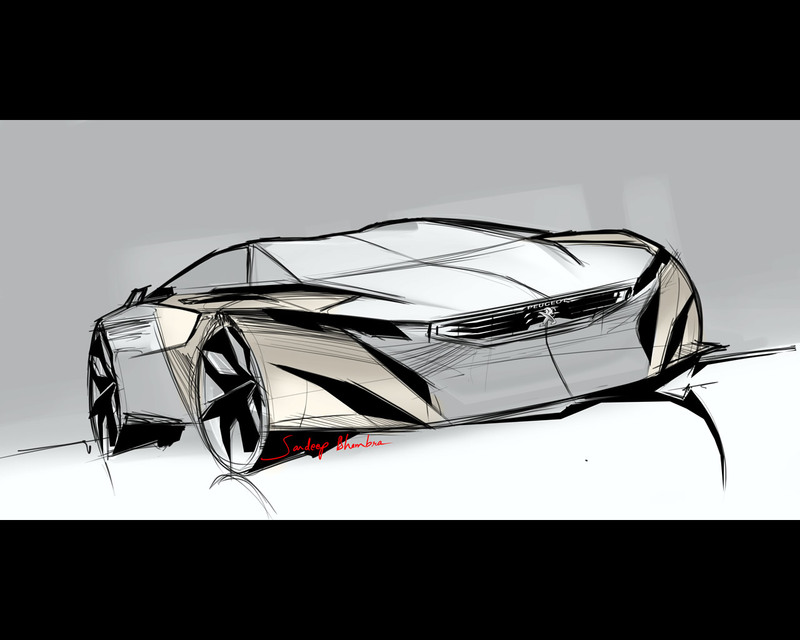 In 2012, Peugeot is again creating the dream with the Onyx hybrid supercar that translates in concept the development works of the endurance racing Peugeot 907 Hybrid. 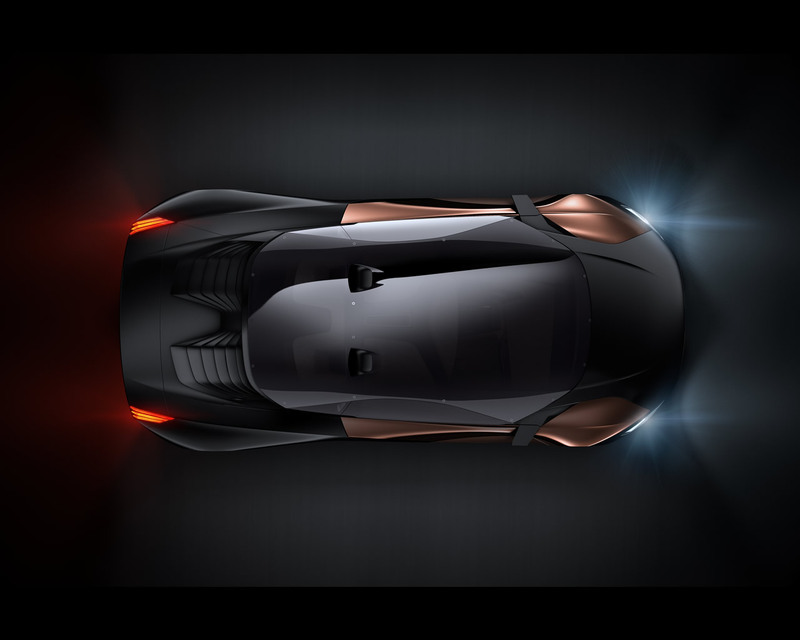 Shaped using raw materials innovatively, this supercar has been created by enthusiasts who have drawn their inspiration from the world of racing. With its mid-mounted V8 engine, Onyx propels admirers in a world of high performance, controlled at all times through a cockpit with intuitive instrumentation and controls. 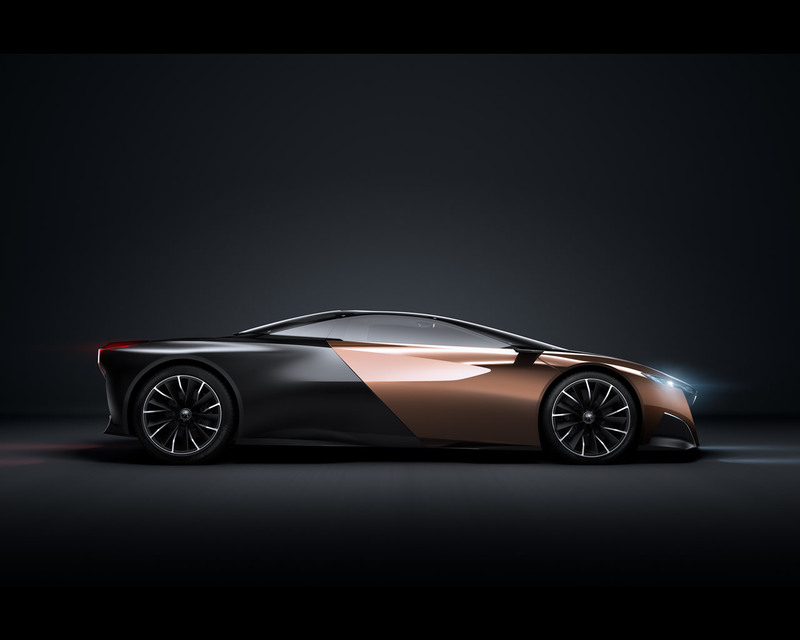 Beyond its breath-taking beauty, it explores the application of new, primary materials, like carbon fibre or copper, to take efficiency even further. The body form is sharp with striking contrast of materials and colours. The wings and doors are handcrafted by master craftsman from a single sheet of pure copper. Polished like a mirror, the metal remains unprotected to the elements. It will evolve in appearance over time, through a natural patina effect. So Onyx lives! Other body panels are formed in carbon, and painted matt black. Shaped to be efficiently aerodynamic, the front ‘face’ links the vertical grill and the full LED headlights, to produce a streamlined surface. The airflow is separated; one part penetrates into the heart of the car, flowing within the body, for supplying air to the engine. The other part of the air-stream spreads across the car sides and over its ‘double-bubble’ roof into the air intakes. 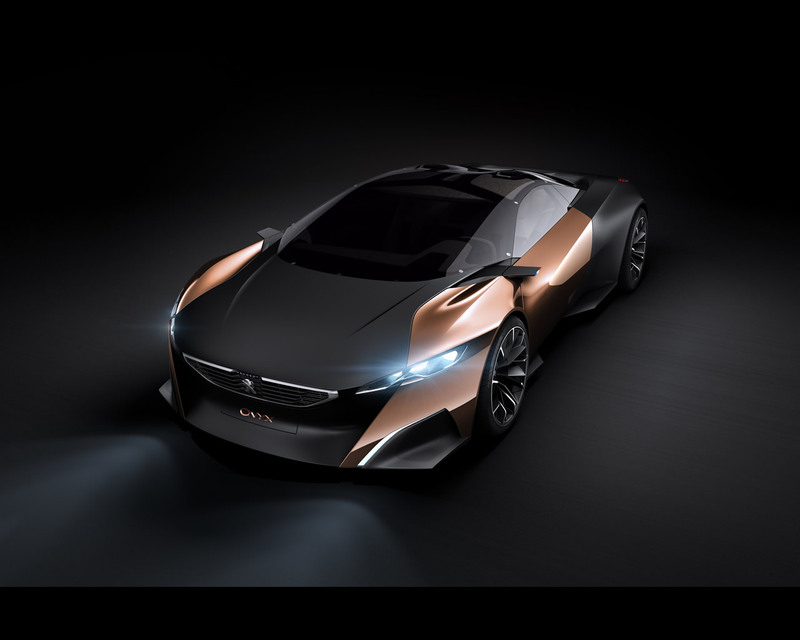 Onyx ends with a flourish, the tail-lights perpetuate the three-claw light signature characteristic of Peugeot. They also support small vanes, which direct the flow of air over the top^and side. They meet as far as possible from the body to reduce interference. With a Cd of 0.30, the aerodynamic footprint of Onyx is inversely proportional to its visual impact. Linking experience with the future, Onyx incorporates the present by honouring the iconic RCZ with a subtle characteristic ‘double-bubble’ roofline and aluminium roof arches. Fully transparent, revealing the strong carbon structure and the interior, the windows and the roof are made of PMMA (PolyMethyl MethAcrylate), enclosing the cocoon that provides maximum occupant protection. “Onyx has a svelte silhouette with a sculpted form that goes from smooth, sensual to sharp and technologic. 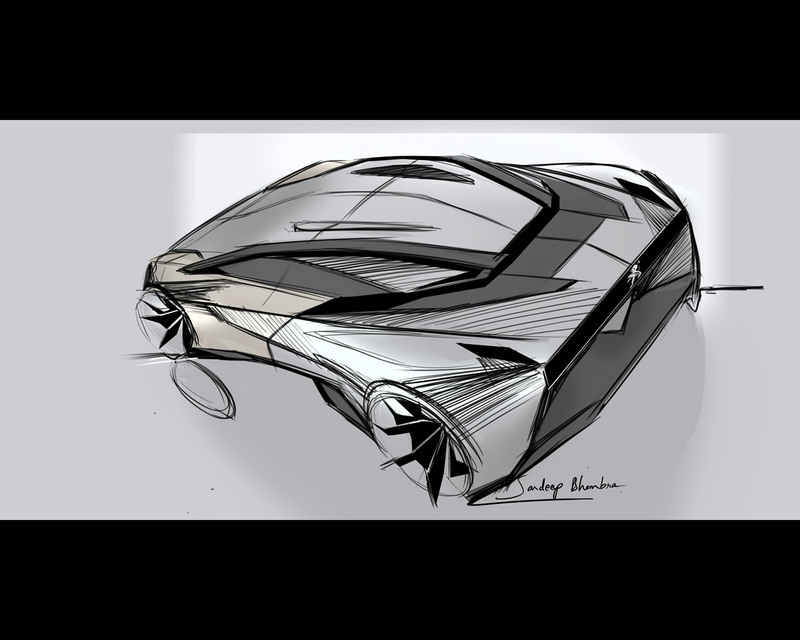 From the very first sketches, I wanted to create a showcase of technological excellence and craftsmanship using high performance aerodynamic cues, ‘black diamond glass house’ and body panels hand-shaped in copper.” Sandeep Bhambra, Exterior Designer of Onyx. The frame of the car is an innovative piece of design, developed with the expertise of Peugeot Sport and the research and development teams. Made of Monolithic carbon, this central structure consists of only 12 parts. It integrates the front with the rear, increasing torsional stiffness and the mass of the structure is optimised, weighing in at only 100kg. Bolted to the carbon shell, the V8 hybrid HDi FAP 3.7-litre engine, and the suspension were also developed with the expertise of Peugeot Sport that has been acquired and validated on circuits around the world. Cooled by twin NACA ducts on the roof, the V8 transmits its 600bhp to the rear wheels via a 6-speed sequential gearbox. This power is delivered in a vehicle of ideal proportions: 4.65m long, 2.20m wide, 1.13m high, weighing just 1,100kg. Fitted with specially developed Michelin tyres, 275/30 at the front and 345/30 at the rear, with 20'' rims and equipped with double wishbone suspension and in-board springs and damping. Intelligent, HYbrid4 technology recovers the kinetic energy normally lost during braking. Stored in lithium-ion batteries, this energy is then automatically returned when accelerating, boosting the power with an extra 80bhp. The management of this function is evident to the driver, supplementing the driving enjoyment. Drawing on the experience of a competitive environment, the engine has been tuned specially for the challenges of road application. For the driver to gain access into the interior, the doors provide easy access through a sophisticated Pantographic mechanism design with two movements. On opening, the copper outer skin separates from the door frame, hinged on the door’s outer edge, to ensure the body style aspect is maintained. The interior is bright and natural, from the floor to the roof. The intuitive design and the materials used to construct its structure characteristics are all on view. As with the bodywork, the interior is frugal in its use of materials, resulting in a minimalist interior, in close proximity to the occupants. Made of felt, compressed and stretched, the cockpit is modelled in a one piece cockpit ‘tub’, with no seams or joins. 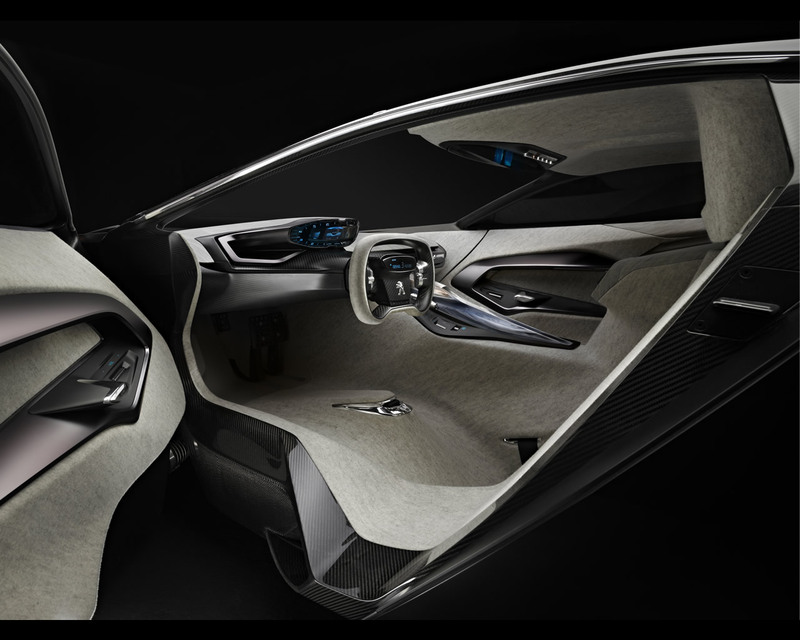 The carbon structure combined with the felt surface creates a protective cocoon around its occupants, allowing it to function ergonomically while incorporating all the features previously performed by individual components: soundproofing, floor, high console, roof and bucket seats. The occupants are integral within one homogeneous piece that also reduces weight. Sports comfort has been integrated with the insertion of foam under the felt, in the areas of contact with the body. Warm and soft, the felt is derived from traditional production techniques. Obtained from boiled wool, with interwoven fibres, this material is completely recyclable and is an excellent thermal insulator. In addition, it improves the quality of the surrounding air by dehumidifying. On board, the driver has all the controls in full view, without having to take his eyes off the road ahead. The felt trimmed steering wheel falls naturally to the hands to provide an immediate feeling of agility. Within the carbon ‘tub’, aluminium controls drive the functions of the Peugeot Onyx, while the paddles control gear selection. The dashboard is constructed with of a new type of ‘timber’ – ‘Newspaper Wood’. Produced from used newspapers, assembled and compressed to create a new material from which the parts are made. The illusion is beautiful with veins of colour evident on the surface. On closer inspection the secret is revealed with the appearance of the print type. The dashboard houses the heads-up display cluster which shows the engine activity and the vehicle’s speed on metal components, appearing and disappearing, like the keys of a piano. The operation of the hybrid activation is indicated by digital displays. Installed in the roof is a selection of aluminium toggle switches that include the start switch for the engine. Just behind it, a reflective blade displays rear view camera images: two located in the mirrors, the third, which provides a panoramic view, positioned on the rear panel. solid aluminium, where the milling paths in the material are used as grips for the hand. The beauty of this interior and dynamic experience is captured internally by a camera installed between the headrests. The film is then available to be replayed on a tablet device, inserted into the dashboard facing the passenger and providing an interface for the car infotainment, capturing the experience for posterity.